NEW PRICE ADJUSTMENT MAKES this home an incredible value in the highly sought after Sonoran Hills community!! This lovely home features 5 bedrooms, 2.5 baths and 3 car garage! Ideal floor plan with great room, open kitchen leading to covered patio & sparkling pool w/stone water feature makes it perfect for entertaining. 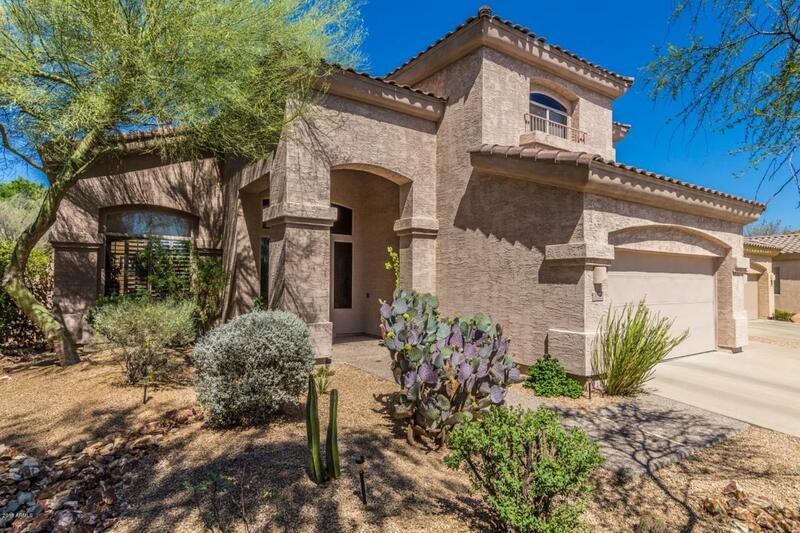 Wonderful bonuses--custom designed wine room, large covered patio, flagstone concrete, gas fireplace, custom built-in shelves, beautiful master w/large walk-in closet, separate shower & tub, soaring ceilings throughout! Enjoy this private neighborhood that offers recreation with community tennis courts, park and miles of hiking & biking, yet with the convenience of elementary school, library & amazing dining. Easy access to Loop 101. This Community has it all!